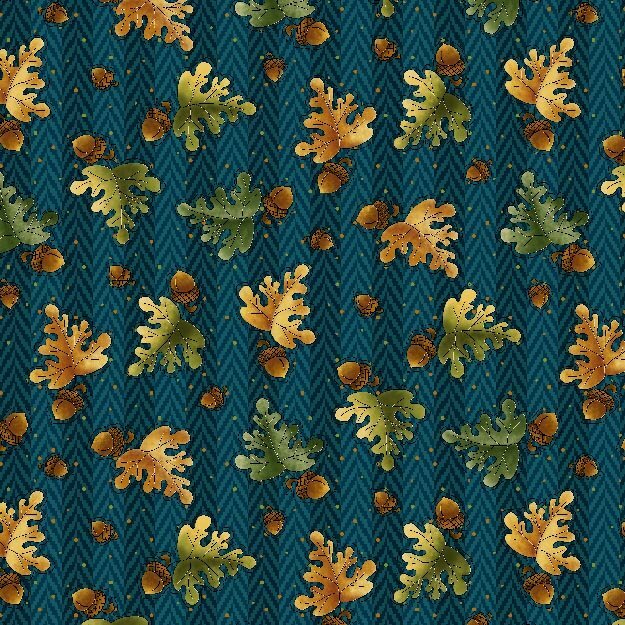 Tossed oak leaves and acorns of green, gold and brown on herringbone, teal background. 100% cotton. 43/44"